Moving to Disney » Visiting Disney! For the first time since we decided moving to Disney is something we really want to do, we got to take a quick trip to Orlando! 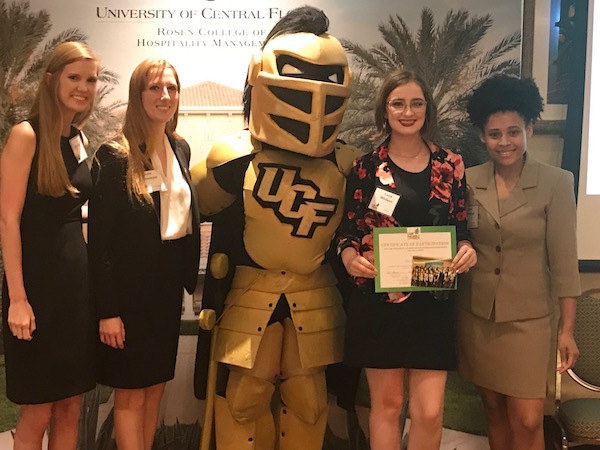 As I mentioned in the previous post, my daughter was going to a hospitality camp at the University of Central Florida. So we decided that on the day after we pick her up we would spend a day at Disney World before heading back to Tennessee. This was not going to be a long, relaxing vacation. It was more of a pitstop. But I knew we would be visiting Disney with a different mindset this time. We arrived early and decided to have dinner at a resort we had never visited before: Port Orleans French Quarter. We had stayed at Riverside on a previous occasion and I assumed French Quarter wouldn’t be that different. I was wrong! We got there in the evening and the place was stunning. Where Riverside was laid out in a more wide and sprawling way, French Quarter was more compact — as you’d expect with one being based on the country and swampy parts of New Orleans and the other based on the city center. It really felt like we were walking through a idealized version of an urban neighborhood. Dinner was at Sassagoula Floatworks and Food Factory. I’d heard that the theming had been toned down here, and it was definitely not as fun looking or exciting as some other “food court” type restaurants. But, oh the food! I went back and forth on what I wanted for literally five minutes, watching what other visitors had ordered to help me decide — it didn’t help, I wanted it all! 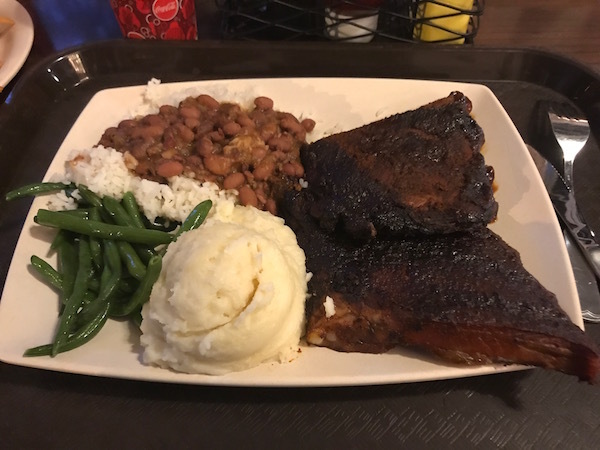 In the end I got barbecued ribs with mashed potatoes, red beans & rice, and green beans. It was around $15, but it was a lot of food. Despite how good it was I probably should have saved the second slab of ribs for later! The next day was the camp’s closing ceremony, where parents could come and see what their kids had been up to all week. It seemed like the campers had a very cool time, visiting hotels, attractions, restaurants, and even Epcot. 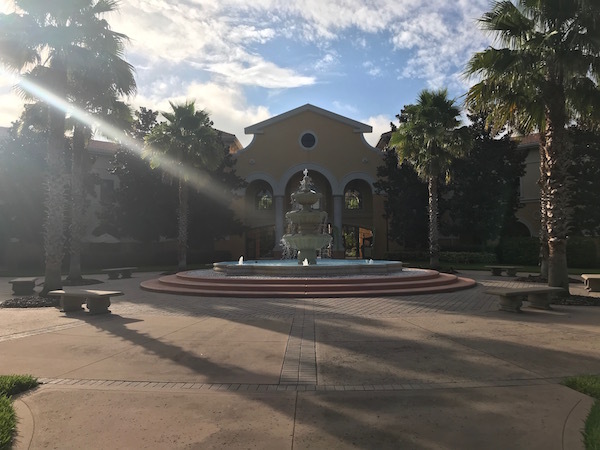 We also got to spend time touring the campus of UCF’s hospitality school, Rosen College. The place is incredible, set up like a resort itself. It’s going to be a great place to go to school. That night we went to Disney Springs. This was our second time there since the massive revamp and name change. I will readily admit the idea of being able to visit Disney Springs anytime I want — to shop, eat, or just people watch — is one of the big things I am most looking forward to in a move to Orlando! The next day we got up early to head to Magic Kingdom. Since it was our only day to visit the parks, I knew we were going to be busy. 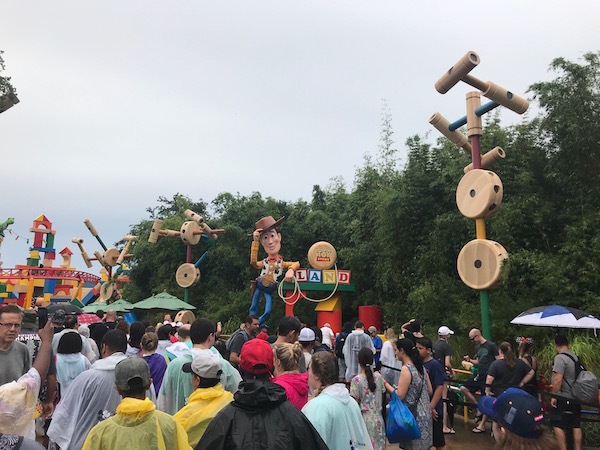 But, again since it was our only day to visit the parks, I didn’t want to cram it too full. The plan was to leisurely do what we wanted without trying to do everything. We had two must-dos (as Stacey might call them!) so as long as we got to them we’d be happy. 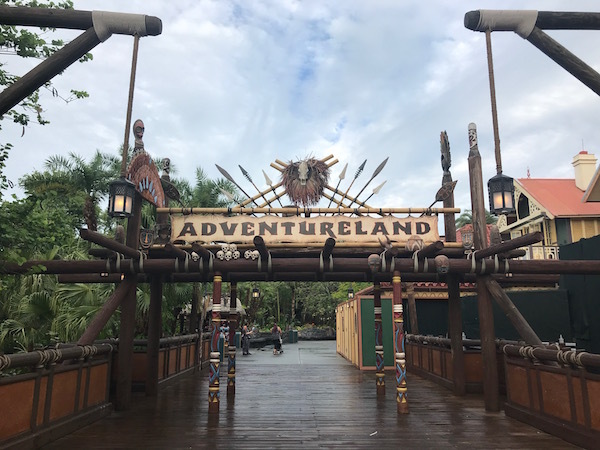 We almost always head to Fantasyland or Tomorrowland first, but this time we thought we’d do something new and head left towards Adventureland. Shockingly, we had the entire land almost entirely to ourselves for over thirty minutes. 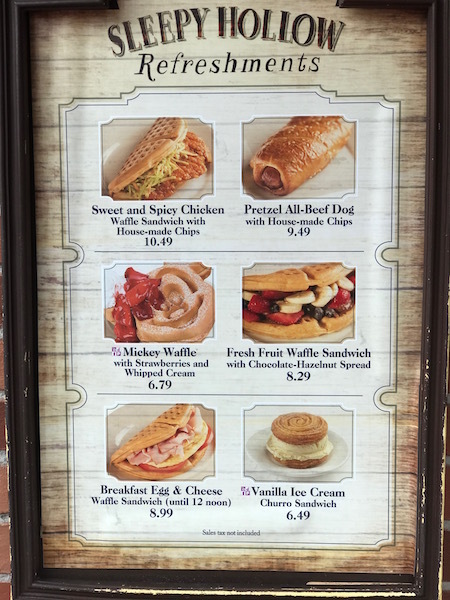 By noon, we’d gotten through Frontierland and headed to another place we’d never tried for lunch: Sleepy Hollow. I got the sweet and spicy chicken waffle sandwich. I expected it to be good just from looking at pictures of it, but it was better than I imagined! I could easily see myself getting fat eating these every week after we move! 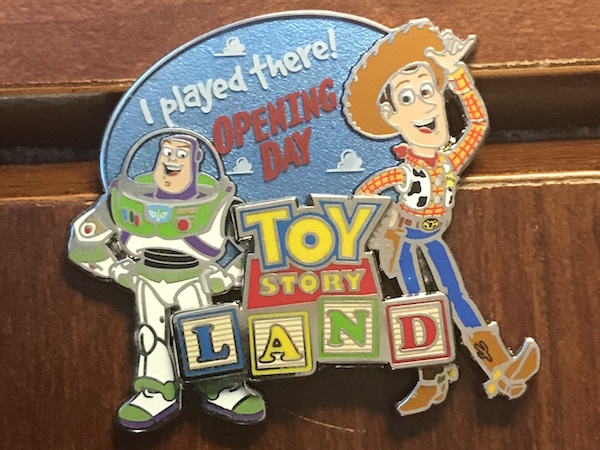 Our plan after lunch was to head to Hollywood Studios for opening day of Toy Story Land. We’d had beautiful weather all day to that point, but almost as soon as we walked out of Magic Kingdom the skies opened up and we were hit with a torrential downpour. We were soaked by the time we got on a tram to the parking lot. After exiting the tram, we realized we had no idea where we had parked. After ten minutes of walking around we were completely drenched. There was no way we could continue the day in that state so we headed back to our hotel for a change of clothes. On the way to Hollywood Studios we stopped at Wal-mart to buy some new shoes to replace our soggy ones. 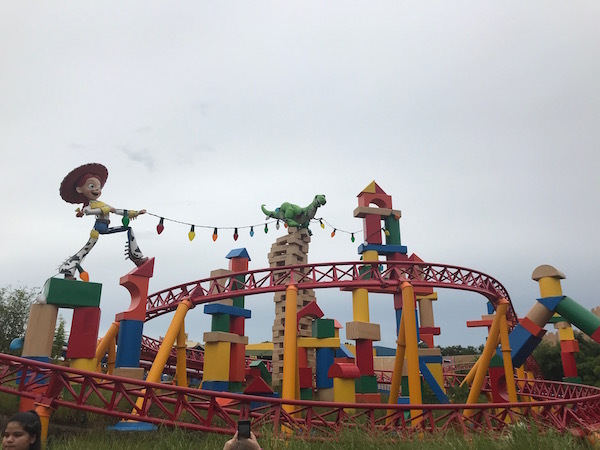 We finally made it to Toy Story Land. We didn’t have Fastpasses, so our plan going in was to just enjoy looking around. And it was incredible, despite the massive shoulder-to-shoulder crowds. After about thirty minutes of sight-seeing (and a stop for a few souvenirs) we got back in the car and headed to the TTC. From there, the adults took a monorail to Magic Kingdom, while the kids took one to Epcot where they got to spend some time without the parents. 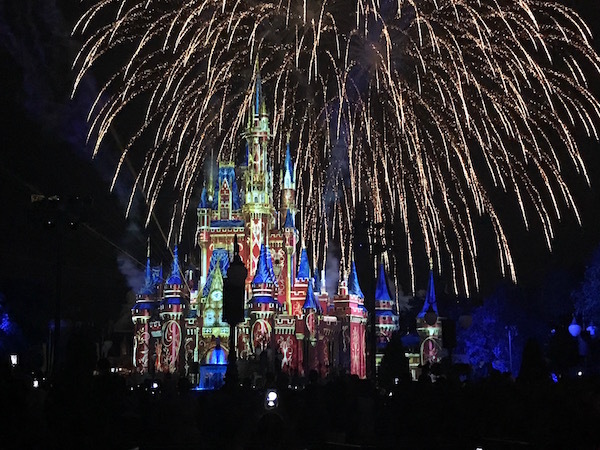 That night we got to experience our second reason for wanting to visit — Happily Ever After. I had secretly bought us tickets to the Fireworks Dessert Party to surprise everyone with, and not having to fight the crowds to hold a spot hours in advance was very much worth the cost. As for the show, it was absolutely breathtaking. Even the drunk guy standing next to me was stunned by it all! It would be so cool to be able to see this anytime we wanted.